Chicago style jibaritos are clearly a specialty here. Last week, The Daily Show host Jon Stewart went on a hilarious rant about his disdain for Chicago-style deep dish pizza, and Chicagons reacted not so much in anger, but dismay. How could anyone deny deep dish pizza? It’s our greatest culinary export! A couple days later, Mayor Rahm Emanuel sent two deep dish pizzas covered in anchovies to the comedian. “Jon, deep dish with dead fish. Love, Rahm,” reads a handwritten note. And while the stunt was a welcome reprieve from the city&apos;s more pressing affairs, it also reminded me of Chicagoans’ typical reaction to outsiders that make misinformed judgements about the city. The truth is, people who don’t know Chicago will probably not like it. But instead of reacting to judgements, what we as Chicagoans could do is share the things that make our city as rich and unique as it is. First, there are multiple types of Chicago-style pizza. And in my opinion, the variety people talk about the most – deep dish – isn&apos;t the best. I’m not new to Chicago. This has been my home for 26 years, and for all that time, my family and I (along with many others on the North, West, and especially South Sides) have been more likely to eat Chicago thin crust pizza than deep dish. Besides being cheaper, it&apos;s more accessible both in availability and ease of consumption. Square cut and crunchy on top, Chicago thin crust pizza remains one of my favorite local culinary traditions. Food in Chicago is not just what we eat; it helps define our way of life. It is who we are and where we came from. Despite its faults, this is a city born out of the dreams and aspirations of people from across the globe, and our food traditions reflect that. You can see this in a Chicago food blog Serious Eats post that gives a "glossary" of Chicago food. 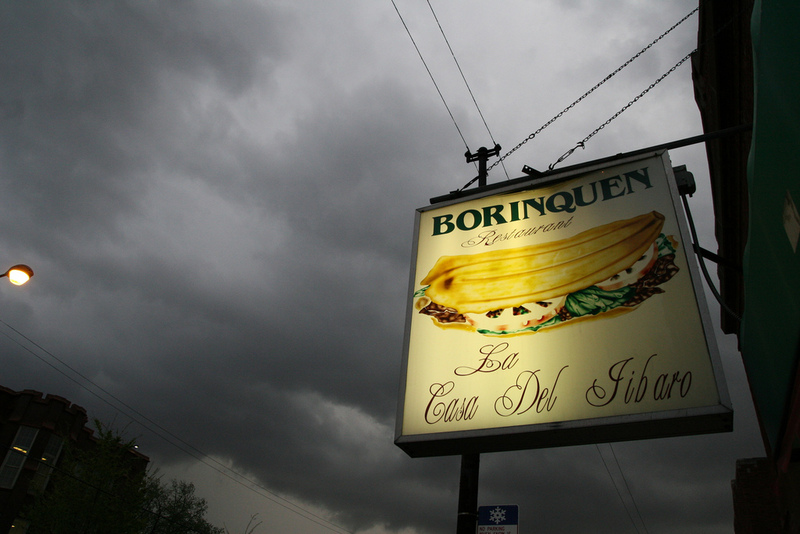 More than just a list, it&apos;s a means of exploring Chicago’s diversity and food history. Kindeslperger breaks down everything from the Chicago-style hot dog to Italian beef, the Maxwell Street Polish to the jibarito (a personal favorite). The list traverses cuisines with ancestral leanings from cross continents, but all are also firmly rooted in the inventive, hearty culinary traditions of the Midwest. To me, this multiplicity is a big part of what makes Chicago great. So rather than dwell on those who can’t understand one style of our pizza, let&apos;s point them to the equally remarkable and delicious foods we call our own. When friends from out of town ask me what to do here, I usually tell them to eat the food — to go outside their comfort zone and discover that Chicago is more diverse than they could have ever imagined. Britt Julious blogs about race and culture in and outside of Chicago. Follow her essays for WBEZ&apos;s Tumblr here and on Twitter @britticisms.